Over the last week, headlines about Khloe Kardashian and her family in relation to the hospitalization of her husband, Lamar Odom, have been everywhere. A quick skim through Google will reveal articles from gossip sites and tabloids with titles like “Lamar’s Overdose Triggered by Keeping Up with the Kardashians,” “Lamar Odom’s Heart Attack: Are the Kardashians to Blame?” and “Khloe Kardhasian Reportedly Rushes to Lamar Odoms’s Bedside With Family Member And A Camera Crew.” The implication in all of these stories is that Kardashian is using Odom's alleged substance abuse to promote her show — that she considers his struggle a mere plotline, and that she forced him to the brink of complete self-destruction in some kind of scheme to profit from his pain. The truth is both simpler and perhaps harder to hear: People make their own choices. No one locked Odom in that Nevada brothel, or forced him to engage in self-destructive activities while chanting “Do it for the ratings!” But while we don't yet have all the specifics of what happened to Odom, we do know that to blame someone else for the decisions made by a person using substances absolves that person of their responsibility to improve their life — and undermines the seriousness of their actions. I understand the mindset of a person who suffers from substance abuse problems. My mother has been in and out of rehab programs since I was 17. She can’t stop drinking. I devoted a large chunk of my young adulthood trying to solve the mystery of her addiction. Would she quit if she loved me more? If I called her more, or visited the shelter where she was staying more often — if I was a better daughter, essentially — would that fix her problems? But eventually, I moved to New York to get my college degree, and the two of us began to talk less and less. Did I abandon my mother? No. I love her. But love is not blind devotion. Love is not always kind, and love does not always have a happy ending. Sometimes, love means urging my mother to take responsibility for her actions, and to take stock of how her inability to seek long-term help wreaks emotional havoc on her daughter. Acceptance was a crucial part of my journey toward emotional stability. I had to accept not only that I am not to blame for my mother’s disease, but also that she loves me, even though she continues to struggle. This is such an important revelation. I am not being rejected by my mother; she just doesn’t have the capacity to show me the kind of love that manifests as a constant presence in my life. But I still feel how proud she is of me and how deeply she cares about my well-being across any distance, and in spite of any disease. Even though I can’t always see and talk to her, I support her unconditionally, and pray every day that her situation never becomes as tragic as Lamar’s. Of course, none of this is to say that Khloe is the only person suffering here. Lamar’s children, his parents, and not least of all, Lamar himself all share in this burden, and will all have to work toward recovery together. Still, I can’t overlook the fact that the Kardashian family has been receiving plenty of backlash lately — from people concern-trolling Kylie Jenner over her lips to the constant stream of speculation over whether or not Kim is a good parent. But to take that hatred of the Kardashian empire and apply it to this situation is downright despicable, not to mention misogynistic. Khloe is an ambitious, strong-willed, straight-talking woman. Would we like her better if she had hidden in the shadow of her husband? If she meekly stood by while his issues slowly eroded her chances at comfort and happiness? It’s easy to paint a successful woman as a succubus who drains her man to the point of death, especially in the case of a celebrity most people have never met. Why not project all of our cultural fears about career women onto a Kardashian sister? But she’s a human being too, subject to all the same emotions as the rest of us, navigating her role in Lamar’s life under a constant spotlight. Those of us affected by substance use and abuse spend enough time struggling with our own guilt over the health of our loved ones — “What would have happened if I had been there? What could I have done to help?” — without admonishment and heckling from every tabloid and blog in America. If I had to manage my own emotional state as I dealt with the news that my mother was homeless or entering rehab yet again, while also trying to avoid headlines that suggested it was my fault she was falling apart, I would probably have a breakdown. I would crawl into a dark hole and stay there. Khloe seems like an exceptionally brave woman, and more than anything, I admire her courage, and the strength it must take to face her critics and still thrive. Fortunately, Khloe has a strong network of family members surrounding and supporting her as she stands firmly by Lamar’s side. But when we casually agree with one of these cruel articles? We might not realize it, but we're saying that women should endure a loved one's struggles at the expense of their own ambition, health, and happiness. That those using substances can always blame some other outside force for their problems, rather than facing their inner demons and finding help. Deciding that you want a life outside of constantly worrying and caring for a person who is using doesn’t make you evil or cruel or heartless; it just makes you human. No one should be held responsible for maintaining the emotional well-being of their mother, or husband, or boyfriend. 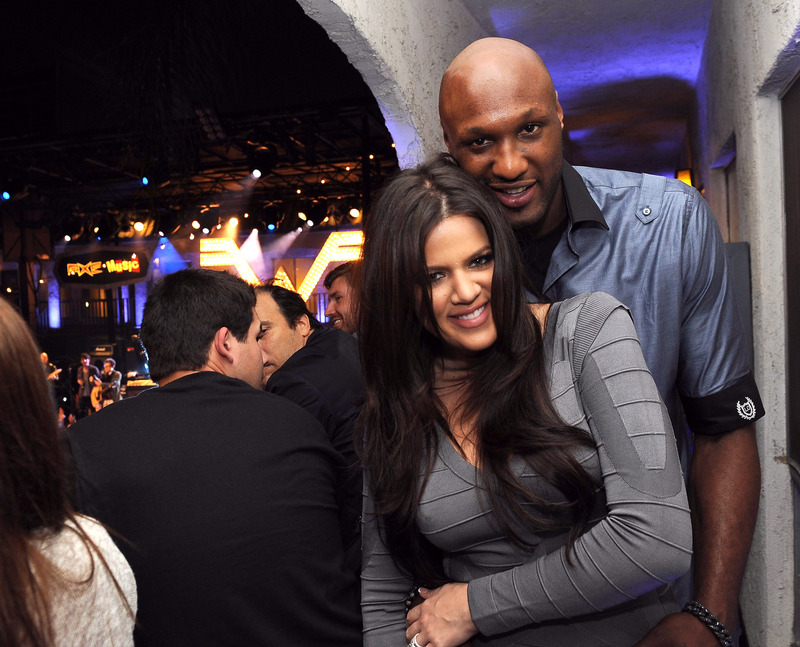 Luckily, Khloe’s relationship with Lamar is stable enough that she feels comfortable maintaining it as he recovers. There are many women who don’t have that luxury — women who have suffered terribly at the hands of loved ones who are struggling with substance abuse, and don’t have the resources or the will to get help. American society spends enough time blaming these women for the transgressions of their partners. Lashing out at Khloe for Lamar’s alleged overdose does nothing but reinforce the idea that women always do something to deserve any pain that they experience. We don’t have to watch Khloe’s show or buy her products. We don’t have to like her family or the brand of celebrity they represent. But as a society, perhaps we can exercise some compassion, and recognize that placing the blame for one person's self-destructive actions on their partner blocks paths to healing and recovery. You don't have to love the Kardashians to be on Khloe's side for this — you just have to feel empathy for the sake of the regular women who are so often in her position.